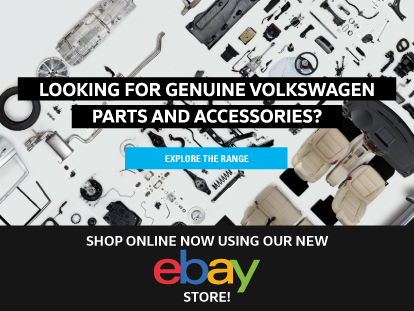 You chose your New Volkswagen because of its quality and reliability, so why compromise this with anything other than Volkswagen Genuine Parts? 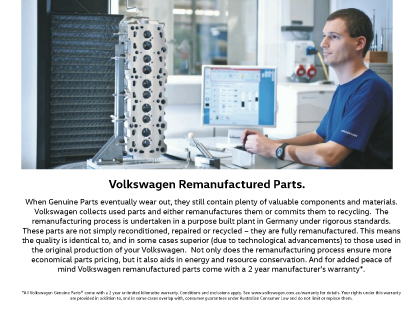 At Westpoint Volkswagen, we keep your Volkswagen running like new with our range of genuine Volkswagen parts, that are engineered specifically for your Volkswagen. 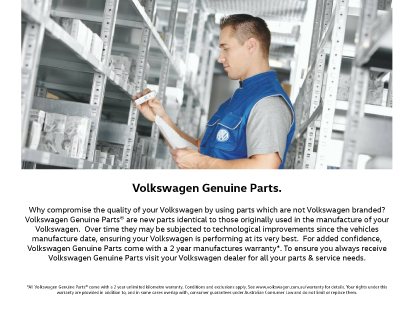 To learn more about our Volkswagen Genuine Parts, or to order a specific part, don’t hesitate to Contact a member of the Westpoint Volkswagen team today.